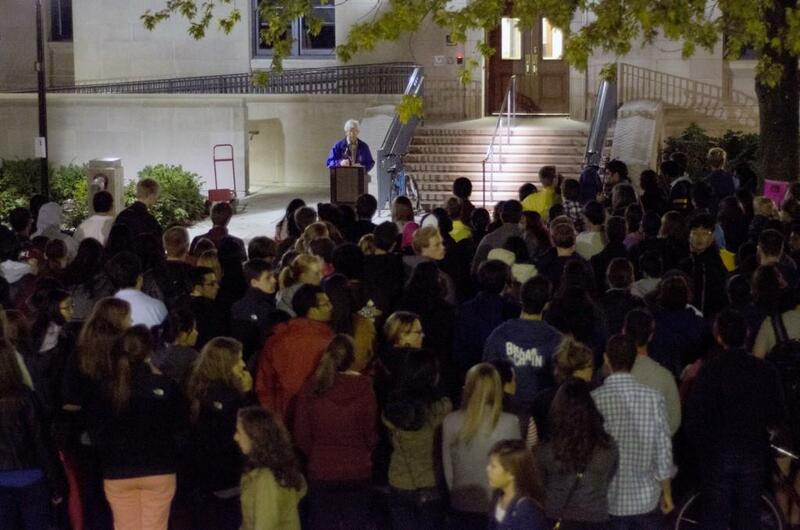 University Chaplain Timothy Stevens speaks to students and faculty at a vigil on Sept. 27. The vigil was planned before the press conference was announced.. The six-day hunt for missing Northwestern student Harsha Maddula came to a tragic close Thursday evening, when investigators found the McCormick sophomore’s body at Wilmette Harbor on Lake Michigan.